Easy for beginners, fits 18"-20" dolls. Stitch up a whole wardrobe for that special doll. 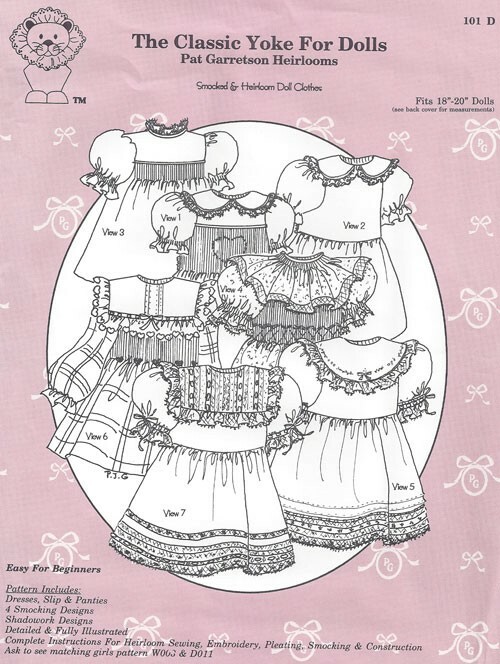 Plain dresses, smocked dresses, heirloom dresses, use your imagination! Great project to try out new techniques on, too!